Huge congratulations to Rato Kim who’s opened a new studio along with Duckhead and 2oz as a part of C.D.F” Studio. 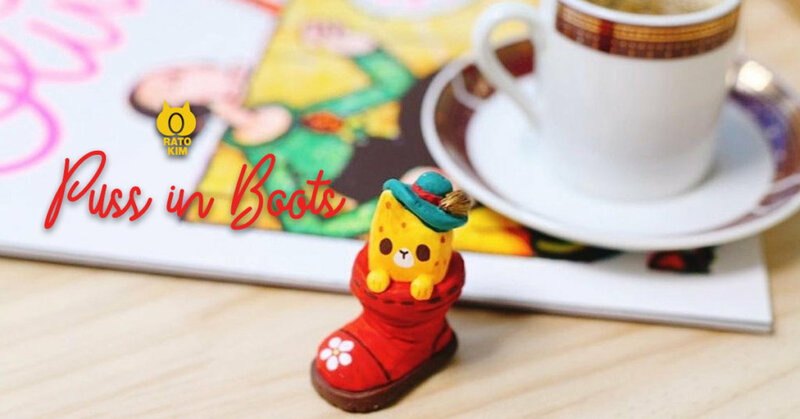 The first project, meet Puss in Boots by Rato. Rato’s signature Boxcat can be seen being mischevious. Heres a tease of whats to come from the C.D.F studio. Need a review of the soft vinyl edition Breadcat? Check our Facebook LIVE stream below. Why not take a read of our interview and a little behind the scenes with the artist behind Breadcat HERE in our TTC Talks to Rato Kim. Check out Rato Kim on Facebook & Instagram.